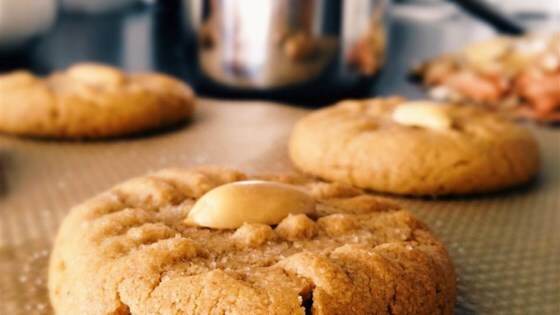 "This is one of my favorite cookies to make. They are the only peanut butter cookies my family will eat! Sprinkle a pinch of sugar on cookies before baking, if desired." Mix peanut butter, sugar, and egg together in a bowl using an electric mixer until smooth and creamy. Roll mixture into small balls and arrange on a baking sheet; flatten each with a fork, making a criss-cross pattern. Bake in the preheated oven for 10 minutes. Cool cookies on the baking sheet for 2 minutes before moving to a plate. I substituted 1 cup of packed brown sugar for the granulated white sugar and they cooked up perfectly and tasted so good I had to make another batch. So simple and gluten free, too!